I hope you are all good. For each month of 2016 I will be sharing my favourites with you, similar to last year when I did my monthly I love it, I want it posts. I think this will be a much loved monthly post so enjoy! Grey Ribbed T-Shirt – New Look. // I have not just been loving this individually I’ve been loving ribbed t-shirts in general. They’re so easy to layer and style they’re a win either way! 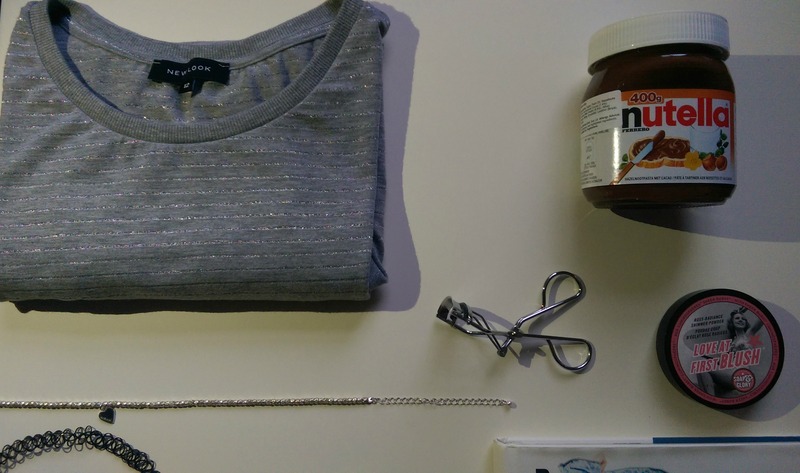 Silver Personalised Choker – Lisa Angel. // I’ve been recently loving chokers. I mean they were talked about a lot then just forgotten about but recently I’ve rediscovered mine and I’m obsessed. 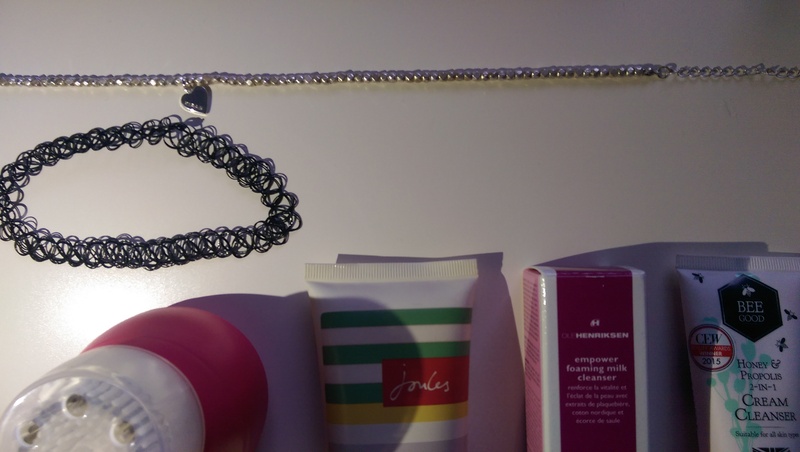 Tattoo Choker – ASOS. // Again, same with this choker it matches most my wardrobe as its all black and they’re just so fashionable. Plush Pink Skin Brush – Magnitone. // I’ve also rediscovered my magnitone as I broke out in too many spots recently and its helped sooth my skin so well leaving it smooth. Honey Fragranced Lip Balm – Joules. // I love this lip balm I mean its one of them that are so fruity that you could eat it. 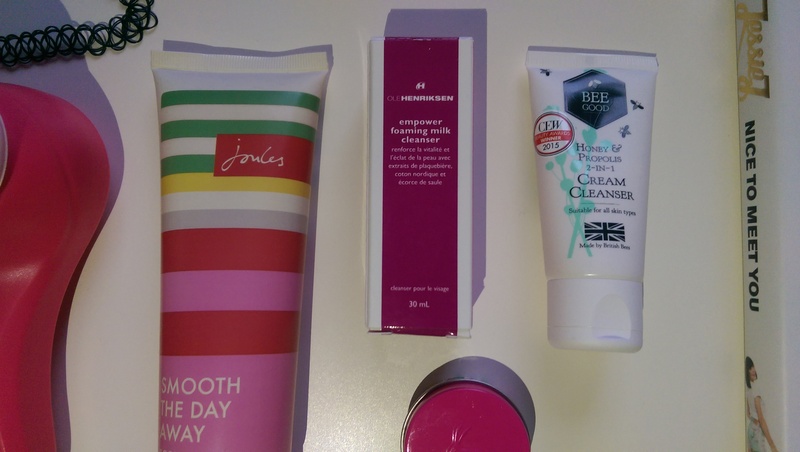 Smooth the Day Away Body Lotion – Joules. // This body lotion is absorbed so easily and smells so so nice. Ole Henriksen Foaming Milk – Sephora. // For my skin I’ve been using this and it just leaves it feeling fresh and hydrated. Honey&Propolis Cream Cleanser – Bee Good. // This cleanser has to be my all time favourite I received this in my bloggers review box from the press tent and I’ve repurchased it because its too good not to get. Jessie J (Autobiography) Nice to meet you – Amazon. // As you may or may not know I adore Jessie J and I’m currently reading her book for the 105th time (maybe not) nut honestly I can’t believe I forgot about it. Eyelash Curlers – French Connection. // I always one to be scared about using eyelash curlers but now I’m like why haven’t I used them because they make a huge difference. 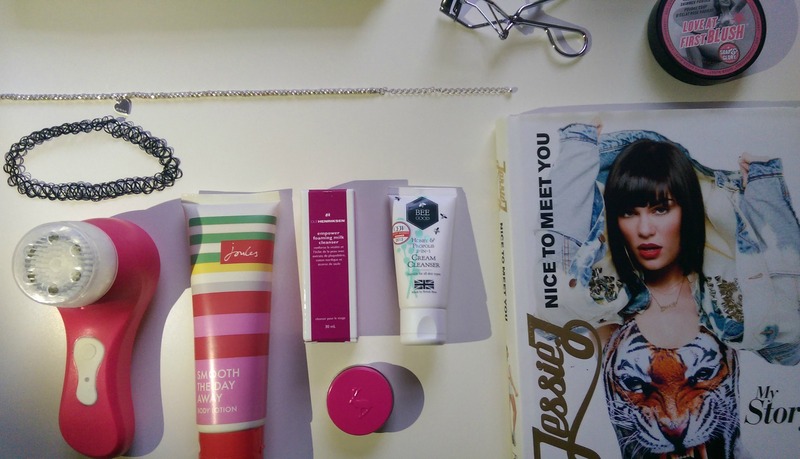 Soap&Glory Multi Blush – Boots. // I have been loving a soft glowing look within my make-up and this just helps me achieve the look perfectly honestly if you haven’t tried it, go get it! I have loved all these items so much like I don’t even know why I’ve forgotten about somethings. What are your favourite items this month? Comment below.